Looking for a Bluetooth earphones for compatible for One Plus 6T. 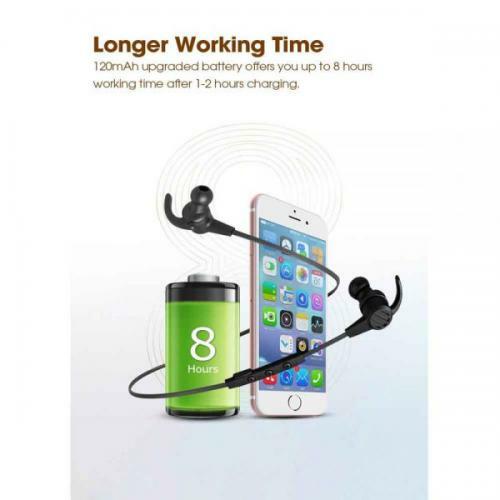 Buy SoundPeats Q36 in-ear Bluetooth earphone. this earphones are one of the best in class earphones when it comes to streaming music, watching movies and playing games. inspite of all this you can also use it for jogging, gym, biking and travel. The In-Build APTX+CSR8645 helps in high fidelity sound quality. This earphones are also well known for its best in class surround sound effect with high class bass. It comes with in build in line mic and volume controls.